These two girls from childhood love to be beautiful and love to be perfect. In the modern world it is very popular to be a blogger and talk about makeup, create reviews on new products and services. 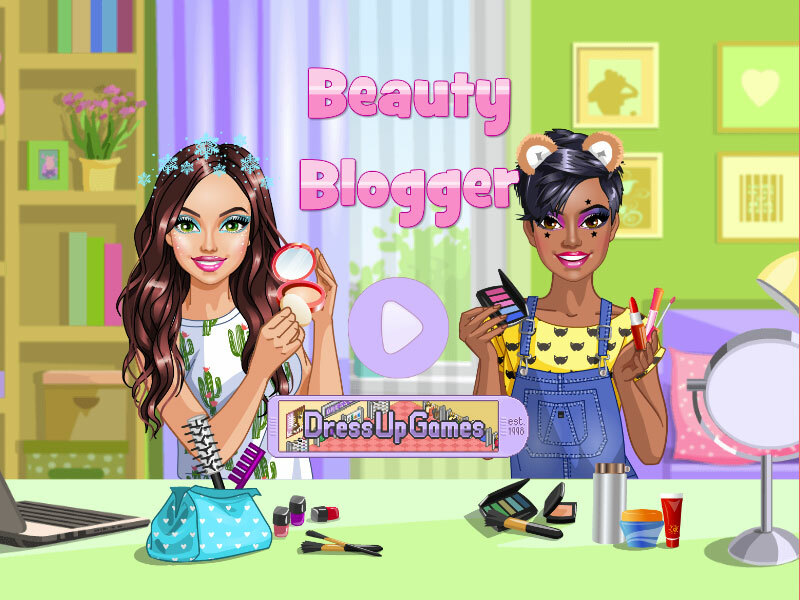 Therefore, our heroines of the game decided not to waste time, but to start creating a blog about makeup. Our bloggers have accounts in YouTube, Instagram and Twitter. Therefore, they have a lot of work and those beauties will always need extra hands. Today they have a very important day and they need help in choosing ideas for outfit. As the "Beauty Bloggers Make Up" game begins, you can start helping the girls in choosing makeup, hairstyles, clothes and jewelry. It will be a great help for them and they will be happy to leave a link to you in their review. Beauty Bloggers Make Up Game.